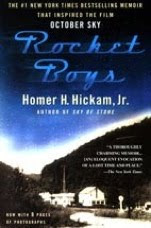 Rocket Boys (or, October Sky, as it is more commonly known) is just the sort of book you want to be reading in October. There’s something very clear about the sky in October, after the haziness of summer, and the nights aren’t so cold that you can’t go out and stargaze a little. So it’s a perfect month, really, to pull Rocket Boys off the shelf and give it another read. Some people’s lives lend themselves to stories is an incredible way, and Homer “Sonny” Hickam Jr. is one of those people. Growing up in the West Virginia mining town of Coalwood, Sonny became obsessed with space and rocketry after seeing Sputnik (the first official Earth satellite) pass overhead. In his enthusiasm he recruited (well, convinced) five friends to learn how to build rockets. Their first few attempts are disastrous (Sonny destroys his mother’s fence in one accident) but as the boys start to get a handle on rocketry—how to mix the chemicals to create a longer burn-time for more propulsion, how to make an effective nozzle, etc.—their rockets start to go higher and they start to draw attention from the townspeople, some of whom are supportive and some of whom are decidedly not. Sonny’s father fits pretty squarely in the “not” category for most of the book. He can’t envision how a hobby in rocketry will pay off and thinks Sonny should just resign himself to a life in the mine. An opinion not shared by Sonny’s mother, who is happy to see her son chase his dreams with a freedom she wishes she shared. After their first few rockets (and Sonny’s father’s strict order that none of the rocketry happen on mine land), the boys decide to move their operation just outside of town to a spot they dub Cape Coalwood. Their rockets become more sophisticated, launches start drawing a crowd, and before you know it they’re off to the state science fair. But there’s a lot more to Rocket Boys than rocketry and dreams of space. 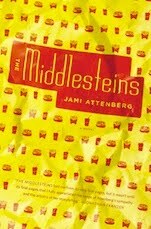 Hickam writes about high school, fooling around in the back seat of a car, his parents’ marriage and all the seemingly little details that make up life when you’re a teenager in a small town. And, as inspiring and exciting as the story is, it’s mostly the small details that make this book so hilarious and, in some ways, so painful. Hickam doesn’t shield you from the harsh and unpleasant realities of coal mining or how difficult it is to be a kid who can’t understand the choices of his parents. I’m not generally a huge fan of memoirs or autobiographies, mostly because I spend so much of my time wondering why the author felt their life was so interesting and unusual that I end up missing the story. But Hickam is a writer who knows how to hook you. His story is exciting and unusual and, although I’ve never spoken to the man, I get the feeling that he doesn’t pretend bad things didn’t happen, or that he didn’t do some bad things too. And it’s that kind of honesty that makes this book so easy to come back to. By the end, you feel like you really know the characters and rereading Rocket Boys is like spending time with an old friend, reliving the good ol’ days and remembering all the people you left behind.